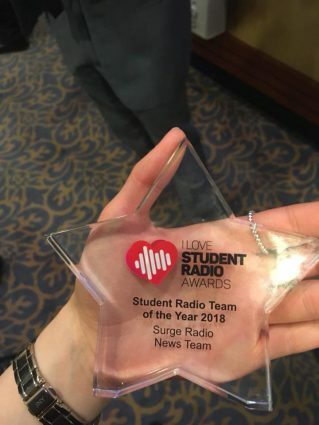 Huge congratulations to Surge Radio’s News Team who took home the award for ‘Team of The Year’ in the I Love Student Radio Awards yesterday, after being selected by various judges within the radio industry! 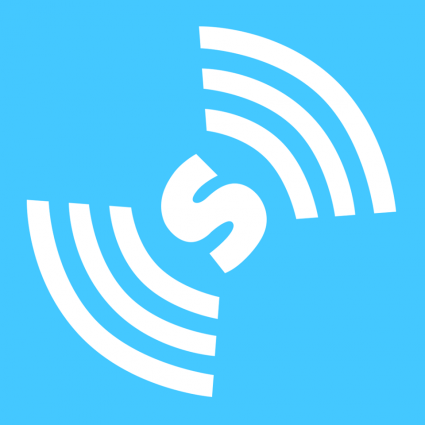 The I Love Student Radio Awards is an annual event which takes place at the National Student Radio Conference, and is a time to celebrate the successes of student radio stations nationwide. The ‘Team of the Year’ award was a brand new one for this year’s ceremony and was very well deserved. This award recognises the efforts of a particular area of a radio station. For example, it could be a team who have made real progress over the past year, or a sub-team who have made a commendable contribution which has improved the station as a whole. “They have turned up this year from almost having no News Team last year, to having this incredible group of people this year. I am so so very proud of them. Every single one of them deserves it. Special thanks to Katie Duke, our last year’s Head of News, she’s our current Assistant Station Manager and has mentored me into this position. You won’t be surprised if you see every one of these faces in radio one day. Thank you very much!” You can watch the special moment here. 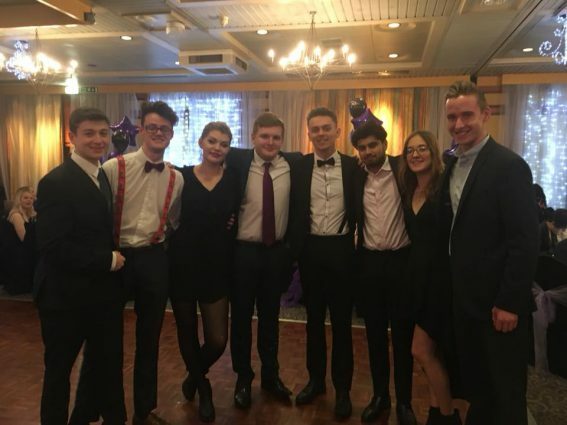 Did you know that it’s completely free to get involved with Surge and the committee are always happy to help train new members. Find out more at www.susu.org/groups/surge.